ENMET offers portable handheld and fixed monitoring systems for detection of Chemical Warfare Agents (CWA) and Toxic Industrial Chemicals (TIC). 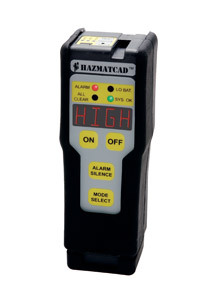 The portable HAZMATCAD™ detects and classifies chemical warfare agents Nerve (G) and Blister (H). This compact, lightweight, handheld instrument is designed to be reliable, fast to start up, easy to operate and avoids false alarms from non-target chemicals in the urban environment. 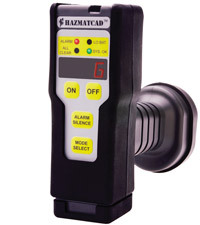 HAZMATCAD offers two modes of operation, one for fast response and general operation and one for high sensitivity, lowering the alarm threshold by approximately 10 times the fast response level. This lightweight CWA detector was created to meet the needs of first responders offering an easy to operate instrument that delivers the highest detection performance without compromise. The portable HAZMATCAD Plus™ is a multifunctional handheld instrument that detects and classifies chemical warfare agents Nerve (G) and Blister (H), with an integral electrochemical sensor array for Toxic Industrial Chemicals (TIC). This compact, lightweight, handheld instrument is designed to be reliable, fast to start up, easy to operate and avoid false alarms from non-target chemicals in the urban environment. HAZMATCAD Plus™ offers two modes of operation, one for fast response and general operation and one for high sensitivity, lowering the alarm threshold by approximately 10 times the fast response level. This portable instrument operates on a real-time basis reporting detection alarms for blood (AC), choke (CG), hydride (HYdR) and halogen (HALO) gases at ppm levels. This lightweight CWA and TIC detector is designed with a high visibility display and was created to meet the needs of first responders offering an easy to operate instrument that delivers the highest detection performance without compromise. 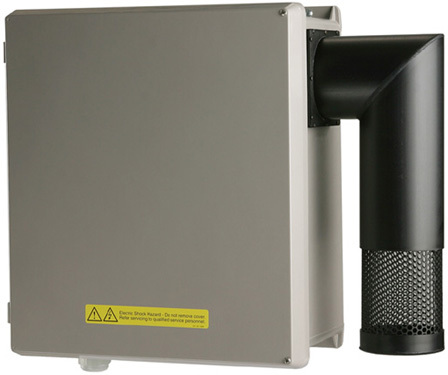 The CW Sentry 3G is a fixed-site ambient air monitoring solution for the detection of trace levels of Chemical Warfare Agents (CWA) and select Toxic Industrial Chemicals (TIC). Its primary application is effective consequence management should a WMD event occur. The CW Sentry 3G has a proven track record for around-the-clock WMD detection in subways, airports and office buildings. It offers trace level detection, unsurpassed chemical specificity and is cost-effective to sustain, making it the best overall monitor for early detection of WMD threats, protection of personnel and critical assets. Service and Support for HAZMATCAD™, HAZMATCAD Plus™, CW Sentry 3G and SAFESITE Sentry Products.